Pre-season training is progressing well for Chris Fagan and the Brisbane Lions. "We've been really pleased with the way the boys have turned up for pre-season," Fagan said on SEN today. "They are all really enthusiastic. All our testing, skinfolds and all those sorts of things, have been spot on. "As a coach, you always worry about a little bit about how they are going to come back...it's demonstrative of a hunger to improve that they came back in great shape." A number of savvy acquisitions over the off-season has built an element of hype from external media surrounding the Lions' chances in 2019. "Our players are aware of the fact that there's a lot of positive thoughts about us. They know they have a long way to go." "They've taken confidence out of that [improved performances in 2018] but still know there's a lot of work to be done. "I haven't detected any complacency at all." The Lions suffered several close losses in 2018 but Fagan is confident the team will be able to rectify this in 2019. "A lot of those ones we lost by a close margin we were chasing, we were never in front. Our starts were a problem and giving teams too much of a headstart." "A little bit of that is body strength, experience and intensity at the start of games. That was the primary cause of that." 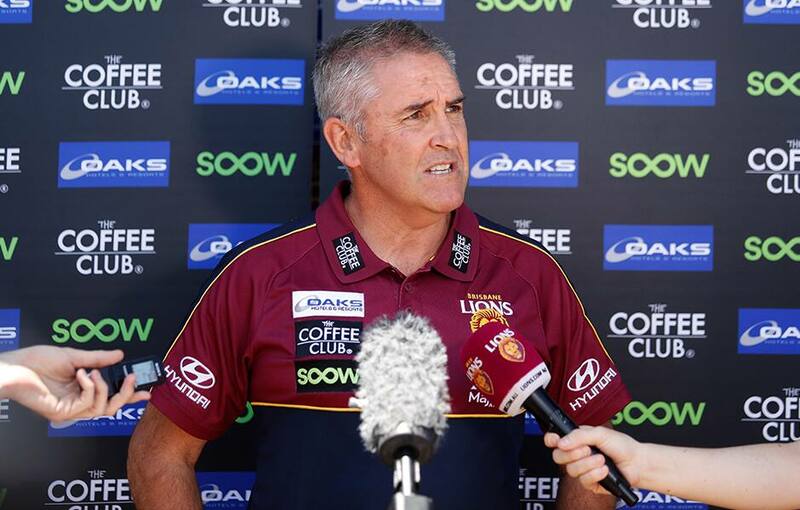 Following the trade and draft period, Fagan is happy with the team he now possesses for the future. "It's teams that win premierships, not individual players. We've got a great group of young midfielders that are coming through." "The development of our young talls is also really important. We want the guys we gave games to last year to step up so they can support Harris Andrews and Eric Hipwood."